With the release of Dan Deacon's dark-but-not-too-dark Bromst LP getting closer all the time, the Wham City noisemaker is finally making good on his promise to break out a whole lotta live action. Late last night, Deacon unveiled his massive North American spring tour in support of the Spiderman of the Rings follow-up and thankfully for us Canadians, he's paying a few of our fine cities a visit. In addition to a bunch of U.S. dates, Deacon will play Vancouver on April 26, Toronto on May 10 and Montreal on May 11, and unlike many of his past live appearances, he's not coming alone. This time out he's trading his one-man science experiment and glowing green skull for a 15-piece live assemble, much like the one he put together in December but with different rotating members. Deacon has also enlisted fellow Baltimore weirdos Future Islands and Teeth Mountain to get the nights going the entire tour, and we wouldn't be surprised if some psychedelically charged visuals made an appearance as well. And hey, what d'ya know? Today (January 27) is the day that twelve-inch Adventure split hits the shops courtesy of Carpark, who conveniently enough are also putting out Bromst March 24. 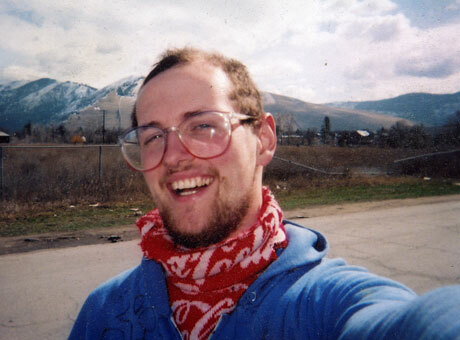 5/1 Kansas City, MO - Pistol S.C.
Dan Deacon "Big Big Big Big Big"